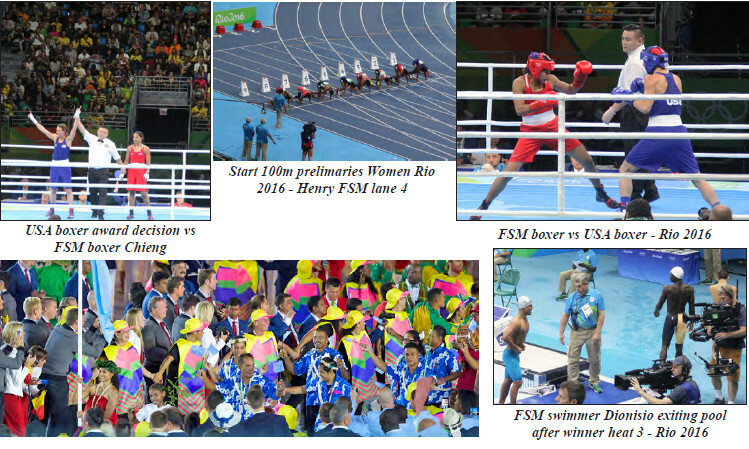 FSM—The 2016 Olympic games in Rio de Janeiro, Brazil are over and done with. The FSM athletes, their coaches and support staff have already begun making their long journey back to their regular lives amongst the coconut trees and taro here in the FSM. 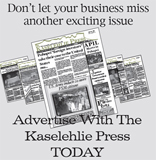 By now, the results of the history making events have been highly publicized but the stellar athletes of the FSM deserve a front page to arrive home to even after having been in the international spotlight even if just for a short while. We are proud of what they accomplished both personally and for themselves, and they did it in front of millions of spectators both in the stadium and around the world. Swimmer Dionisio Augustine was the first FSM athlete to compete at the games. 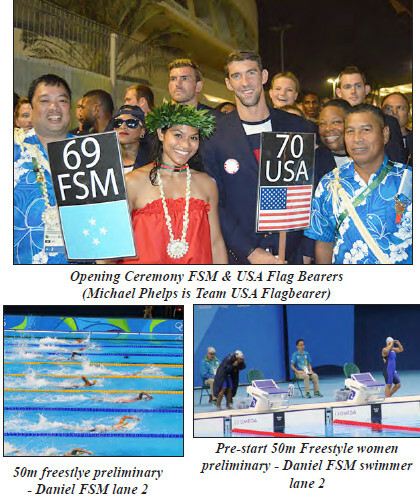 At 1:00 on August 11 the winner of five medals during the recent Micronesia Games swam his heart out and won the third heat of the men’s 50 meter free style preliminaries. There were a total of 10 heats and there were 8 swimmers in his heat. Though his time wasn’t fast enough to move to the semi-finals he beat all of the other swimmers in his heat and swam a personal best time of 26.17. His previous fastest time was 26.92. It was Dionisio’s first time to compete in the Olympic Games. On the next day it was veteran FSM swimmer Debra Daniel’s third time to compete in the Olympics. She has said that Rio 2016 may well be her last Olympic competition. She plans to take time off from international competition to complete her Masters degree in Industrial and Organizational Psychology. Her personal best time in the 50 meter free style race was 30.48. Her heat was very fast but she swam a respectable time of 30.83 seconds. Lerissa Henry is a 16 year old High School student at PICS. She was the next FSM athlete to compete at the Olympics. Her competition was the 100 meter race on the Olympic track. She went into the competition with a personal best time of 13.12 seconds. Though she came in 19th of 24 in the preliminaries she also ran a respectable time of 13.53 seconds, more than half a second faster than her performance at the last Micronesia Games. Kitson Kapiriel raced the 100 meter race on August 13. His personal best time for the race is 10.87 seconds, set during the 2015 Micronesia Games. It took 11.42 seconds for him to reach the finish line after the gun went off at Rio 2016. FSM’s fastest man came in 5th in his heat. Boxer Jennifer Chieng of Yap was the flag bearer for the FSM delegation. It was a good choice for the FSM. Her gritty duel with Team USA’s Mikaela Mayer won her the admiration of the fans in the stadium who shouted her name in excitement as she landed blow after blow and dodged the long arms of US’s reigning female boxing champion. Mayer is fully six inches taller than the scrappy little woman from Yap who has only been boxing for three years. The judges for the match must have had some hard decisions to make. To an onlooker it seemed that some points were awarded to Mayer that should have gone to Chieng. Ultimately the judges awarded the win to Mayer with judge’s scores of 35- 40, 35-40, 37-39, very tight scores for four rounds of boxing.